Building Blocks are very basic recipes or techniques that just build on themselves. 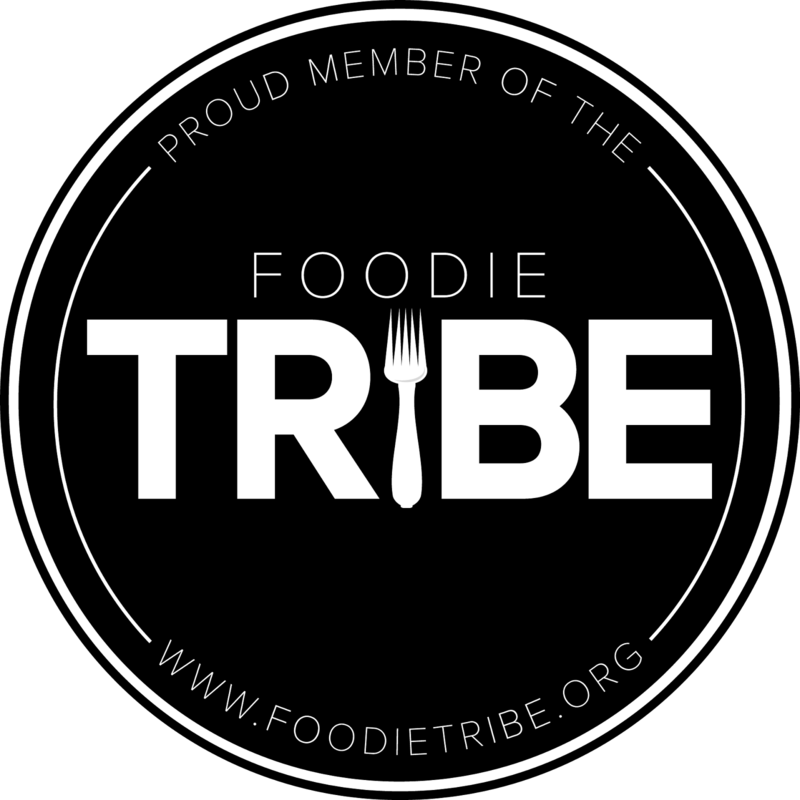 Once you start making them, they lend themselves to a million different uses and you’ll find yourself throwing them in as secret ingredients to enhance whatever else you’re making. 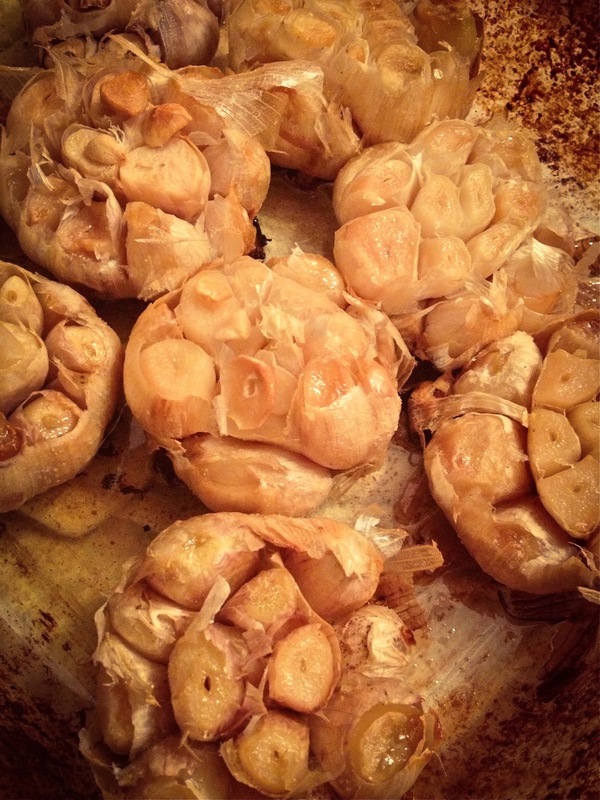 I adore roasted garlic. It’s deliciously fragrant and I can’t help but feel like I’m in an Italian trattoria when the aroma wafts from my oven. It's so easy to make and the effort required is minimal, even if you're making a ton of it. Garlic Heads—You can do just one head, but it’s usually worth doing more. 2. Cut the tops of each head. If any cloves are starting to show green shoots, do the best you can to dig those out with the tip of a knife, as these can create a bitter taste. 3. Line those heads up in an oven-safe pan. The shape doesn't matter as long as it has sides or a lip. 4. Drizzle a generous amount of olive oil on top of the heads. Make sure you hit them all. 5. Sprinkle salt over the heads. If you want to get fancy, you can also throw some hardy herbs (think thyme or rosemary) in that pan to flavor the oil. 6. Tent the baking dish with aluminum foil, then stick the pan in the oven. NOTE: If you're making just a couple of heads, wrap them up individually in foil and drizzle on the olive oil and sprinkle on the salt. Put the packet on a baking dish to catch any leaking, and put them in the oven. 7. Roast the garlic for about 45 minutes checking on the garlic occasionally, (start checking at around 30 minutes) and rotate the pan about halfway through. They’re good to go when the garlic cloves feel soft when poked with a knife. Remove from the oven and set aside until cool enough to handle. At this point, the garlic is ready to be eaten. You could even serve the garlic heads on a plate, scoop the individual cloves out, and spread them on bread. However, if you prefer . . .
• Squeeze cloves out of the heads into a bowl. Discard the skins. • Mash up the cloves to a desired texture. (I like to mash it down to a butter-like paste.) Add salt to taste. 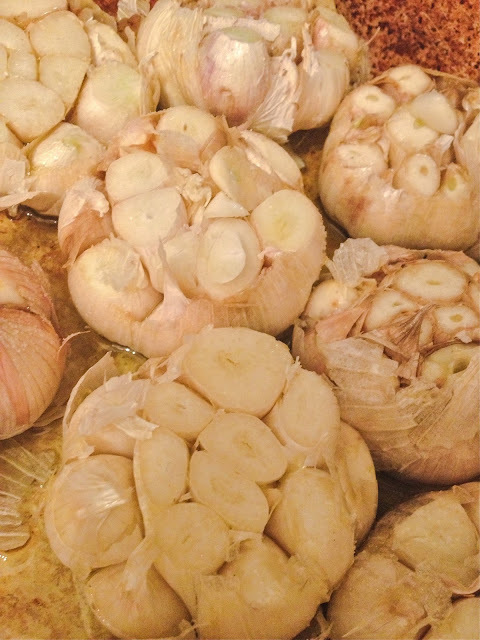 • The garlic is now good to store. Keep in the fridge in small batches or store in the freezer. I use this stuff in so many savory preparation—sauces, risotto, on roasted veggies—the options are endless. Use it anywhere you would normally use garlic, just take into account that this has a milder flavor, so you might want to use a little more than you normally would if you're trying to pack a punch. It's delicious even on its own or make a compound butter and use it to make garlic bread. You can substitute it in for the raw garlic in the herb-lemon-garlic butter for my Herb-Butter Roast Chicken. You can also use it to make a delicious, quick gourmet popcorn in this quick non-recipe. Mix a couple of teaspoons of butter and roasted garlic, to taste. Add the butter mixture to a bag of just-popped popcorn while it's still hot, so that it will melt. Sprinkle with a pinch smoked paprika and salt to taste. Pinch the bag closed and shake the hell out of it. Transfer to bowl and enjoy. 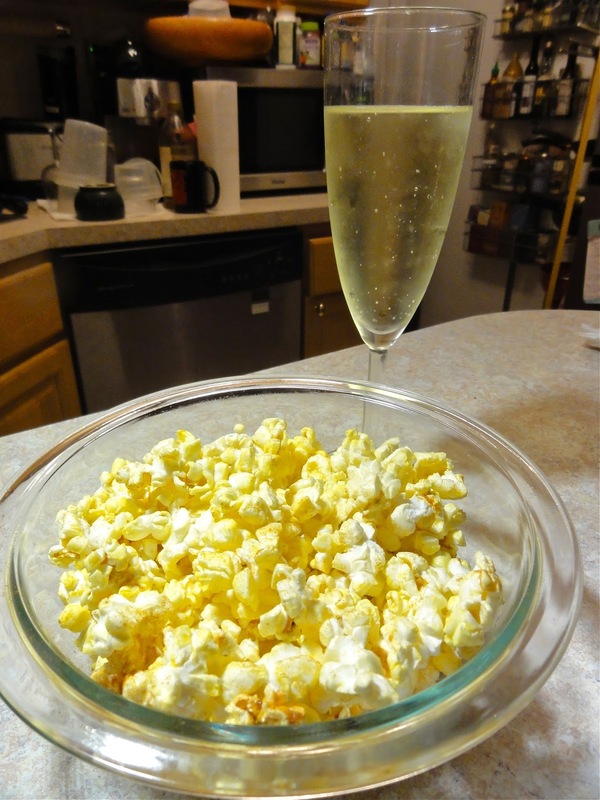 Pour yourself a glass of inexpensive Cava (it works well with smokiness of the paprika) kick back and have yourself a movie night. For another use, see my recipe for roasted garlic sauce up next. 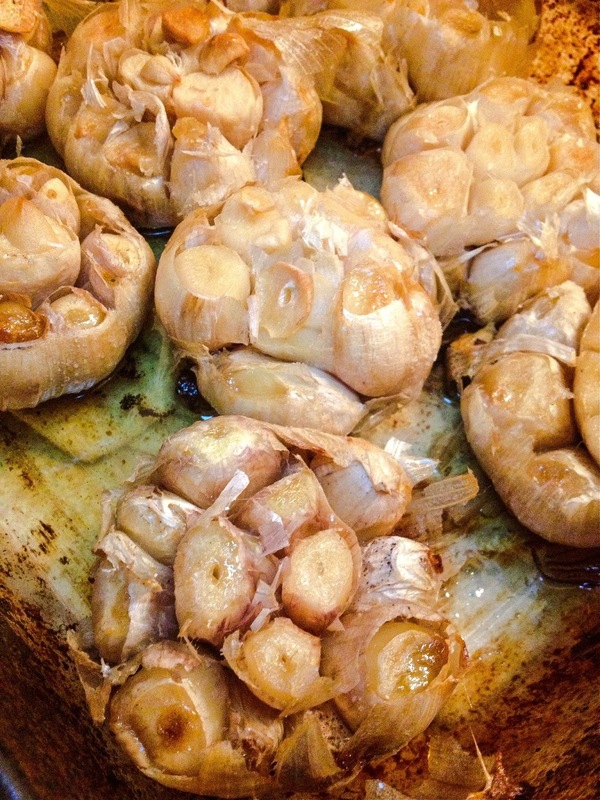 How do you use roasted garlic in your cooking? Please share! Note: I’ve adapted this from a previously written post I did for a site that is no longer with us, may it RIP.